Trinity Events are the most professional and responsive company I have ever dealt with. The chairs, chargers and tent decorations were very beautiful and cost effective. Thank you so much!!! Always available to answer your questions and are very kind people! 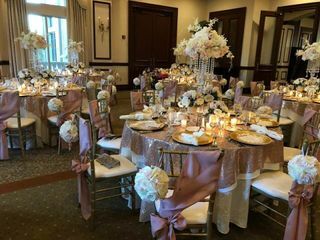 My venue provided the majority of the items I needed but Trinity Special Events was so easy to work with I ended up renting gold charger plates, chivari chairs, draping for terrace posts and pipe & drape for a large window (which looked so stunning I am actually bummed that I didn't have Trinity drape the other windows!). Not only were their prices extremely reasonable, I loved supporting an family owned business - and Marco was so sweet to accommodate every new request I made! I highly highly recommend using Trinity Special Events for all of your event needs! We planned our wedding from Maryland and choose Trinity Event Rentals to provide our arch at the suggestion of our florist. They were very affordable and provided set up and take down. We used the two post bamboo arch and could not have been happier with how it looked (rental came with ivory draping and flowers were provided by Bella Florals by Theresa). The draping was exactly as my wedding planner and I discussed. Everything was set up perfectly and they were timely with responses and professional through the entire process. Trinity Special Event Rentals was wonderful to work with! They were quick to respond and their products were very fairly priced and in excellent condition. I rented chargers and chairs and they were beautiful! 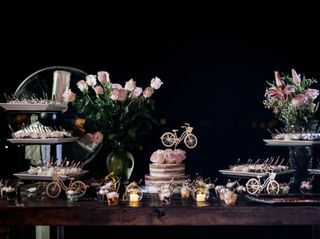 They added style and elegance to my event and I am so happy I decided to rent them. I even changed the numbers of the guest list the day before they were so accommodating. Thank you for helping to make our special day perfect! 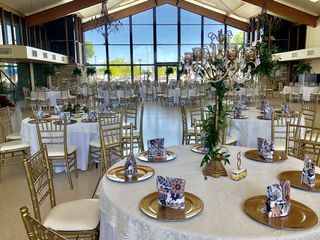 Trinity not only had the best prices when it came to chiavari chair rentals in the area, they also had the BEST customer service. They were very prompt, professional and accommodating. Thank you! I used Trinity Rentals for chair, linen, chargers and tablecloths! Everything was absolutely beautiful. The owners were very friendly and pleasant to work with. I would highly recommend!! Incredible customer service and quality of equipment rental! Maria was so pleasant to work with, she would respond immediately to any emails and was so easy going. They arrived perfectly on time to deliver my chairs and cocktails tables to the venue, and even set them up. They have been super helpful since the first email I sent to them. They accommodated everything that I wanted! They even accommodated my last minute (week of the wedding) changes and add ons! I would highly suggest using Trinity for any party or wedding! Very pleased with everything! When I saw the ballroom set up for the first time I could've cried (and I'm not a crier.) It looked even more beautiful than I imagined. I rented chairs, sashes and napkins from Trinity. Everything was set up as requested. It was so easy working with Maria and her team. I wouldn't hesitate to use them again. 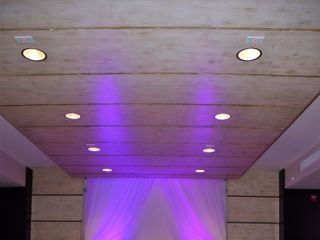 If you want your event to be beautiful, get the finishing touches from Trinity. You won't regret it! Maria and her team did an amazing job on our wedding set up. 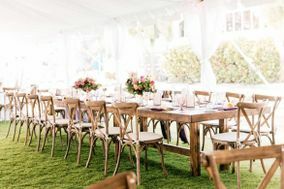 We rented farm tables, chairs, chargers and ceremony decor. I sent her pictures of my vision and she made it come to life - everything was absolutely stunning! 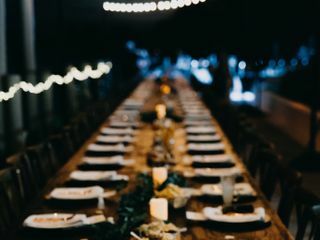 I will definitely use Trinity Special Event Rentals for all of my party rental needs. The Trinity people were very pleasant and easy to work with and did everything seamlessly and just the way we wanted. They coordinated closely with the florist, saving us a lot of time and effort and even went beyond their area of responsibility to help us. Thank you so much! An amazing vendor with great service and value. I showed Ronald of Trinity Special Event Rentals a photo of what I had in mind, and his response was "No problem, we can build it for you." 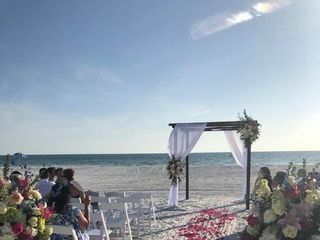 He was so accommodating and made the most beautiful 4-post arch with white draping for my beach wedding at an incredible price. I was blessed to find this truly special vendor. I was very pleased with the set up. Even tho it was raining all day, it looked beautiful when I got there. So happy we chose Trinity Special Event Rentals! 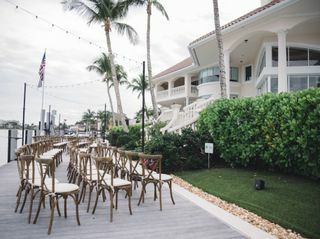 The chairs really dressed up our venue and they provide amazing service! Thank you! Trinity Special Events went above and beyond for us!! There communication is one I appreciate! They are quick in response..so quick that it rain on our wedding day and my wedding planner reached out to Trinity Special Events for LAST MINUTE RENTALS (2-3 hours before ceremony) and Trinity Special Events DELIVERED everything with no hesitation or HASSLE! How AMAZING!! This is every brides dream to have a vendor who is there for them when things do not go as planned. I would highly highly HIGHLy recommend this company over and over again! Also, every single item I rented was absolutely top notch and GREAT quality!! It was a great experience all around-- from quoting chairs, adjusting amounts, set up and take down everything was perfect! If you're looking for a vendor who is easy to work with, the best prices in town and the most professional, look no further! My experience with Trinity Rentals was exceptional and they made working with them the least stressful part of wedding planning. My white chairs were a beautiful touch to my ceremony and reception and the gold chargers with the perfect pop of color for our tables! The team was quick, efficient and you didn't even notice them. THANK YOU Trinity Rentals! Trinity Special Event Rentals was AMAZING! They did such a great job for my ceremony - it was everything I had envisioned and hope for! Also working with them was super easy! They were very professional and helpful, and I have nothing but positive things to say about them! I wish I had rented more from them!!! Trinity Special Event Rentals was amazing to work with. They are professional, quick to respond, and their prices are unbeatable! Trinity special event rentals llc were great to work with and super responsive. We rented the white chaivari chairs and they were beautiful. Also they have the best prices in southwest Florida. I def recommend this company!!! Trinity Rentals was definitely by far the best choice! I was so pleased with the rentals for my wedding. The quality was great and the chivari chairs were by far my favorite and looked amazing! The crew that set up and picked up was so nice, efficient, and punctual. I was very impressed. I would highly recommend them for any event and I would use them again! Thank you Trinity Rentals!